I still adore Tynette's eclectic style and uniquely her sisterlocks! 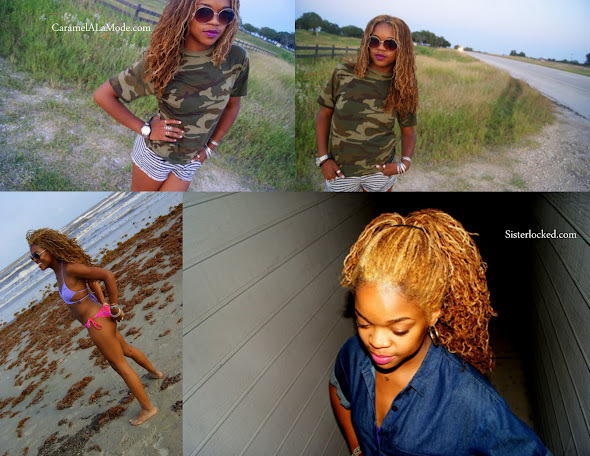 I just love her hair and her blog! FYI she made the skirt below herself! PS, Her guest post has all her hair color secrets... just because I get asked about hair color all the time! such a beautiful young lady. love her hair and the color.